I would like to begin this week by congratulating and thanking Center Schools music directors Gabriel Swanson and Kate Newmyer for the wonderful spring programs they put on last week. Kate directed middle and high school student performances on Wednesday and Gabe and Kate put the talents of our many elementary musicians on display on Thursday evening. I appreciate each of them for continuing to make the performing arts a priority in the Center School District. Congratulations are also due to Katrina Ruggles for helping Center Schools secure yet another key stream of funding through a Colorado Expelled and At Risk Students grant. This will give us $225,000 to support students who need a little more support when it comes to behavior issues. The district also looks forward to meeting its latest Americorps crew. I am told they will arrive on campus on Monday May 20th! We look forward to having them support our summer school programs and student enrichment opportunities. I had the true pleasure of once again attending our Alternative and Virtual high school graduation ceremonies on Saturday in the Center Schools Auditorium. The Academic Resource Center graduated 7 students and the Center Virtual Academy sported 3 graduates this year. These programs are a tremendous asset to the Center School District as they offer students of all ages who need an alternative education experience the opportunity to complete their high school education. In the 10 years one or both of these schools have existed, we have now graduated 80 students who might otherwise never have completed their high school coursework. This week also included wonderful 5th and 8th grade transitional ceremonies. Haskin 5th graders gathered on Wednesday evening in the Center Schools Auditorium to transition to Skoglund Middle School. Skoglund 8th graders transitioned to Center High School on Friday night. Kudos go out to Haskin Elementary PE teacher Andrew Hawkins who is helping lead the SLV PE Professional Learning Community. On Tuesday he and Del Norte PE teacher Clint Mondragon presented their plan for professional development to the San Luis Valley Superintendent Advisory Council. Finally, at Monday’s Center High School Awards Ceremony 2013 graduates were awarded approximately $200,000 in various college scholarship support from Adams State University, the Colorado School of Mines, the University of Colorado at Boulder, Trinidad State Community College, the Kiwanis Club of Center, Ray and Collette Skeff, the McCormick family, GE Johnson, the Colorado masons, the Daniels Foundation, and a slew of other organizations. Congratulations to the class of 2013! I don’t believe we have ever released a group of students out into the world with as many opportunities as you have. This past week I finalized administrator evaluations, attended the monthly SLV Superintendent Advisory Council meeting, attended our monthly Board of Education and District Accountability Committee meetings, attended a dinner with Colorado State Board of Education, and conducted a lot of work surrounding the San Luis Valley Boettcher Teacher Program. 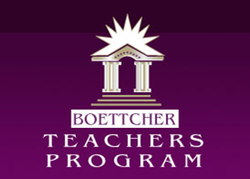 The Boettcher Teacher Program is being revised to support alternative licensure candidates who are ready to teach in San Luis Valley schools as early as this coming fall. This will be a tremendous help to us in Center as we are in the market to fill a few positions which are traditionally difficult to fill. The top of our importance list continues to include making end of year staffing decisions, preparing for Center High School graduation ceremonies, and continuing work on a preliminary 2013-14 district budget. Additionally, we are excited to announce that Haskin Elementary Instructional Coach Sarah Vance was promoted to a new position at last week’s BOE meeting. She will now serve as Haskin Elementary co-principal in charge of grade 3-5 instruction and student and parent relations. Current Haskin Elementary principal Kathy Kulp will serve as the other co-principal, focusing on the same duties as they relate to students in grades PK-2. This coming week we will have a District Leadership Team meeting on Monday after school. Tuesday will be our last day with students. Wednesday will be a teacher work-day, allowing our staff members to close down rooms and turn in final grades. On Thursday the board of education will meet at noon in a special session to approve 2013 Center High School graduates, make hiring decisions regarding non-probationary teachers, and adopt a preliminary 2013-14 fiscal year budget. Of course Center High School graduation ceremonies take place on Saturday morning.